5. Physical Exercise and DNA Injury: Good or Evil? 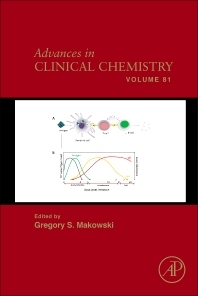 Advances in Clinical Chemistry, Volume 81, the latest installment in this internationally acclaimed series, contains chapters authored by world-renowned clinical laboratory scientists, physicians and research scientists. New to this latest release are chapters that cover Microparticles in Chronic Heart Failure, Peptide Antibodies in Clinical Laboratory Diagnostics, Measurement and Clinical Utility of βCTX in Serum and Plasma, Human Papillomavirus and its Testing Assays, Cervical Cancer Screening, and Vaccination, and Physical Exercise and DNA Injury: Good or Evil? The serial presents the latest technologies related to the field of clinical chemistry, and is the benchmark for novel analytical approaches in the clinical laboratory.